Coming Soon – “Plus North” Bloggers’ Meet! 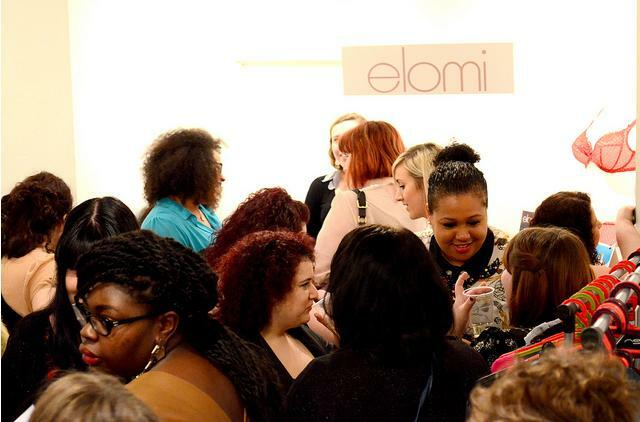 Back in February I was fortunate enough to be able to attend a fab bloggers’ event called Plus London Two. It was a great chance for bloggers – especially plus sized – to get together, try on some amazing clothes and lingerie, hob nob and generally have fun. It was a great event and even though the weather was bad we all had a fantastic time. In the days to follow, talk turned to plans for a similar event in the north of the country, so that those who had been unable to get to London might be able to attend. And so Plus North was born! The event is taking place on Saturday 7th July 2012 at Aspire Leeds. It will run from 1pm till 6pm and is different to Plus London Two in that it is open to bloggers and the public alike. It’s touted as an event which will enable us to do everything we did at Plus London Two – but on a much bigger scale! There will be many retailers, from independents to well-known brands, displaying their wares at various stalls around the venue. This will be a great opportunity to try on lusted-after items, as well as to talk to the retailers themselves about their ranges and to bring up any suggestions/ideas for future development of their brands. A key feature from Plus London Two which is being repeated at Plus North is the fashion show, where the models are bloggers who have bravely volunteered to strut their stuff on the catwalk. This time around, the clothing will be supplied by fabulous plus size retailer Simply Be, and I am certain that they will be providing the models with clothes and lingerie which fit and flatter in order show off their ranges to best effect. There will also be a super prize draw into which delegates are automatically entered when they buy their tickets on the website. To date, sponsors/exhibitors who have confirmed their attendance include Simply Be, Plus Size Tall, Excite Clothing, Life’s Big Canvas, Trapped In A Skinny World and Dea London. This is already a great line up but I know this will only get better as we get closer to the event and more companies sign up. I even hear tell that delegates will have the opportunity to have a free hand and arm massage from a trained massage therapist, as well as a complimentary nail file and polish from two of the delegates. What a treat! You can keep up to date with the latest Plus North news on the blog, on Twitter and the Facebook page. Now, all of this wonderfulness does not happen by itself. Working away incredibly hard behind the scenes are the fabulous Becky and Toni, two plus size bloggers themselves. Between them, they have arranged the event from scratch and are continuing to work hard to ensure it is a great success. All this for the love of organisation, I can only assume, as Becky and Toni are not earning a penny from ticket proceeds. They have not even taken money to cover their costs incurred through organising the event, so keen are they to ensure the delegates get as much for their money as possible. What troopers! Thank you ladies – I can’t wait to see you in July. The Plus North website describes the event as ‘a celebration of all things plus’ and I have no doubt that it will be one of the most talked about events of the blogging year. I’ve got my ticket and hotel booked – have you? Previous Post Curvy Kate Star In A Bra 2012 – Final Vote! Next Post I love to shrug! It really is one of the events of the year, and you've described it so well and so beautifully that I challenge anyone to now not want to grab a ticket and come along!Great post! Whoop! Look forward to meeting you there! Looking forward to it with bells on!